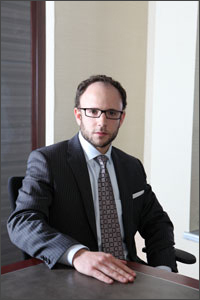 2013 successfully defended cases where Morrie Luft successfully represented his clients. They consist of a wide variety of criminal and drug offences – from second degree murder to simple possession of marijuana. Previous successes do not guarantee future results. R. v. N.S. – Mr. S. charged with Second Degree Murder. Result: Charge withdrawn. R. v. S.P. – P. charged with Possession of Cocaine for the Purpose of Trafficking and with Possession of Proceeds of Crime. Result: All charges withdrawn. R. v. A.D. – Mr. D. charged with failing to comply with his bail. Result: Charge withdrawn. R. v. L.P. – Mr. P. charged with assault x 3 and uttering a threat to cause death. Result: Mr. P. was acquitted at trial. R. v. L.C. – Mr. P. charged with fraud over $5000. He had been accused of defrauding an investor of nearly half a million dollars. Result: Charges withdrawn. R. v. M.R. – Mr. R. charged with assaulting his wife and uttering a threat to cause her bodily harm. Result: Charges withdrawn. R. v. O.C. – Mr. C. charged with sexual assault, forcible confinement and assault. Result: Charges were stayed on the eve of trial. R. v. C.B. – Mr. B. charged with mischief under $5000 and utter a threat to cause bodily harm. Result: Charges withdrawn. R. v. D.R. – Mr. R. charged with possession of a loaded prohibited firearm. Result: All charges dismissed following a preliminary hearing. R. v. M.C. – Mr. C. charged with robbery x 5. Result: All charges withdrawn. R. v. C.J. – Mr. J. charged with dangerous driving and fleeing from police. Result: Charges Withdrawn. R. v. S.E. – Mr. E. charged with assaulting his girlfriend. Result: The case proceeded to trial where he was acquitted. R. v. C.B. – Mr. B. charged with breaking and entering into a residence and possession of stolen property obtained by crime. Result: Charges withdrawn. R. v. T.C. – Mr. C. charged with failing to comply with his recognizance. Result: Charges withdrawn. R. v. L.P. – Mr. P. charged with assault and uttering a threat to cause death. Result: Charges withdrawn. R. v. G.F. – Mr. F. charged with abducting. Result: Charge withdrawn. R. v. P.M. – Mr. M. charged with assault following an argument with his partner. Result: Mr. M. was acquitted at his trial. R. v. R.P. – Mr. P. charged with failing to comply with his recognizance. Result: Charge withdrawn. R. v. D.B. – Mr. B. charged with possessing a firearm. Result: He was acquitted at trial of all charges. R. v. A.E. – Mr. E charged with assaulting a police officer and with obstructing a police officer. Result: Mr. E was acquitted at trial. R. v. F.S. – S. charged with possession of cocaine for the purpose of trafficking and with possession of proceeds of crime. Result: All cahrges withdrawn. R. v. P.D. – Ms. D charged with possession of cocaine for the purpose of trafficking and proceeds of crime. Result: All charges dismissed. R. v. M.O. – Mr. O charged with robbery. Result: Charge withdrawn. R. v. N.P. – Mr. P. charged with break and enter. Result: Charge withdrawn. R. v. M.D. – Mr. D. charged with domestic assault and uttering a threat. Result: Charges Withdrawn. R. v. C.M. – Mr. M charged with possession of ammunition contrary to a court order, possession of marijuana for the purpose of trafficking and with possession of proceeds of crime. Result: Acquitted of all charges. To discuss your case with a criminal lawyer in Toronto, contact Morrie Luft at 416-433-2402.